Applied Engineering Software Group turned to the EUROCOM Panther 5SE Mobile Server for its X79 chipset in a laptop that could run an Intel Xeon class server processor for managing storage, network and server operations for third party contractors. The Mobile Server is an all in one system that results in a compact 12 lbs, 16.76 x 11.44 x 2.31 inch mobile server solution. It is designed for world wide deployment and easy network set up. It is easy to transport, move around and relocate as it can fit into a single carrying bag because of its all in one, compact design. 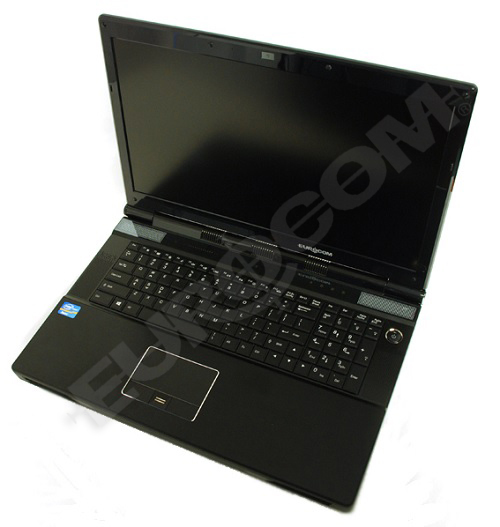 Applied Engineering Software Group was initially attracted to the EUROCOM Panther 5SE due to its ability to handle a server class Intel Xeon processor. They are sometimes, running anywhere between 50 to 100 virtual machines and require the ability to model complex network problems. Gregory Carter owns and operates Applied Engineering Software Group, AESGI, in Wisconsin. AESGI manages storage, network and server operations for third party contractors for a variety of companies, primarily in the ISP, telecommunications and logistics and supply industry. Secondarily, AESGI, deals with enterprise operations and analytic measurement and problem resolution in the same areas. A lot of their time is spent tracking down problems and redesigning issues of data center operations or cloud computing operations that are not working optimally. Before the Panther 5SE Mobile Server, AESGI used to haul around a desktop class system in excess of 80 pounds to and from customer sites. The problems didn’t end there, sometimes simply plugging in the desktop machine would pull 600 watts and trip a UPS as well. The Panther 5SE, on the other hand, simply nibbles around 130 watts. Gregory Carter eloquently explains his company’s utilization of technology in helping AESGI improve efficiency and capability through technology. The analytic, software development, infrastructure management work I do on the server, storage and network problems many of my customers have requires simulation study. So, I used to haul around a desktop class system and run many of my own tool sets for identifying customer problems on that machine. It became a pain to haul around 80 pounds of gear. Sometimes it was a problem at a customer site to fit the gear in a customer facility if it had to stay on site overnight, it was simply too big. When I saw an X79 class chipset in a laptop that could run a XEON class server processor, I decided to have a look at the Panther 5SE. I found the machine could run all of the tool sets I use, just as well as the desktop server machine I would haul around. So a lot of my time is spent on tracking down problems or redesign issues of data center operations or your typical cloud computing operations that are not working that well. Sometimes a customer will become frustrated because of a vendor deadlock to resolve the problems, so they hire me to come in and look at a problem as a neutral party. I then redesign the software, add software or debug the software to identify the problem so that the vendor, customer or I can fix/resolve it. So the typical projects for the company tend to be fairly diverse both large and small in the types of server, storage and networking and or software problems I have to deal with. The bonus of course, all the gear was reduced in weight to about 15 pounds. Hefty for sure for a laptop, but not quite 80 pounds. Furthermore it could fit on my lap in a pinch. In poorly designed data centers, sometimes plugging in the larger desktop machine would pull 600 Watts, and trip a UPS over as well. The Panther 5SE nibbles at around 130 Watts of power at max load, 300 watts with both bricks if I install a top end XEON, and load the drive bays. So with that much power under the hood in such a compact form factor solutions for customers problems and my own problems of dealing with business continuity can be demonstrated on site, not just on a whiteboard but for real due to the Panther 5SE. That builds trust and confidence in many of the engineering solutions I have created with the Panther 5SE. My customers also see that I not only suggest a solution for them to use, but I use it myself as well. The ability for the machine to handle a server class XEON processor is critical. I have sometimes anywhere between 50-100 virtual machines running at a time for the really nasty customer problems I have come across. Cloud computing problems are a matter of network scale more often than not in my line of work and you have to model the gist of the problem, as small as you can. I could not do some of the more complex modeling required on high powered laptop processors, the network callback/syscall's just bury the laptops rather anemic chipset. What is critical is the ability to run a command line on the hypervisor while modeling some of these problems. With notebook processors and chipsets, sometimes the load would not permit a command line shell from functioning. On a day to day basis it is my primary machine I use and work on for software development using Eclipse to write Android/Mobile software and doing audits on the configuration and builds of some of the YUM automation repo's I have for many of my LINUX/HPUX/Solaris/BSD/Windows physical/virtual machines. The configured build of my Panther 5SE uses a ATI display card and runs the KDE desktop very nicely. I also use it for Email/Web browsing. Nothing like using a server class machine to get your weather and email! AESGI specializes in managing storage, network and server operations for third party contractors for a variety of companies primarily in the ISP, telecommunications and logistics and supply industry. Typical platforms are LINUX, BSD, Solaris, HP-UX and of course Windows. Secondary parts of the company deal with enterprise operations and analytic measurement and problem resolution in the same areas. Many of the solutions involve applying software corrections/development work. Much of it based on Open Source engineering principles.